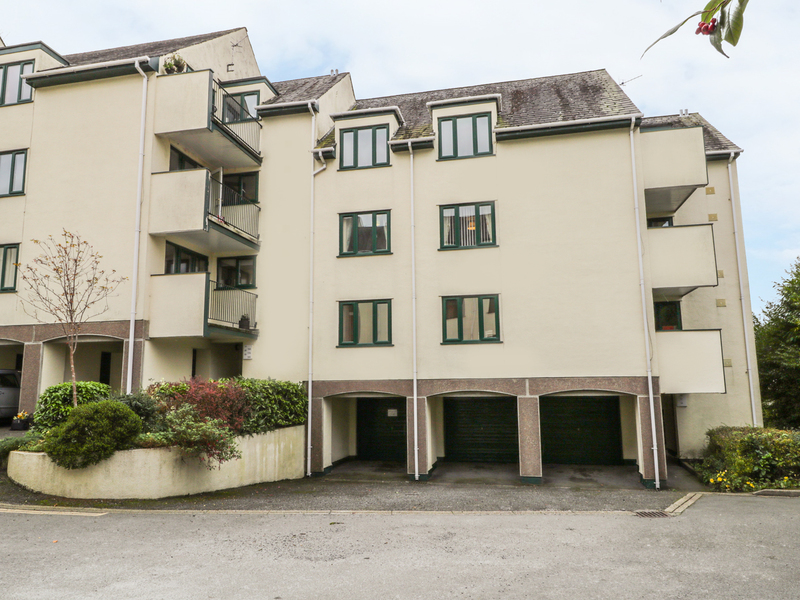 Tree Tops Apartment is situated on the third floor of a modern apartment block overlooking the village of Bowness and Windermere. Tree Tops apartment has one double bedroom, a shower room and a separate WC. The main living space includes an open plan kitchen, dining and lounge area. 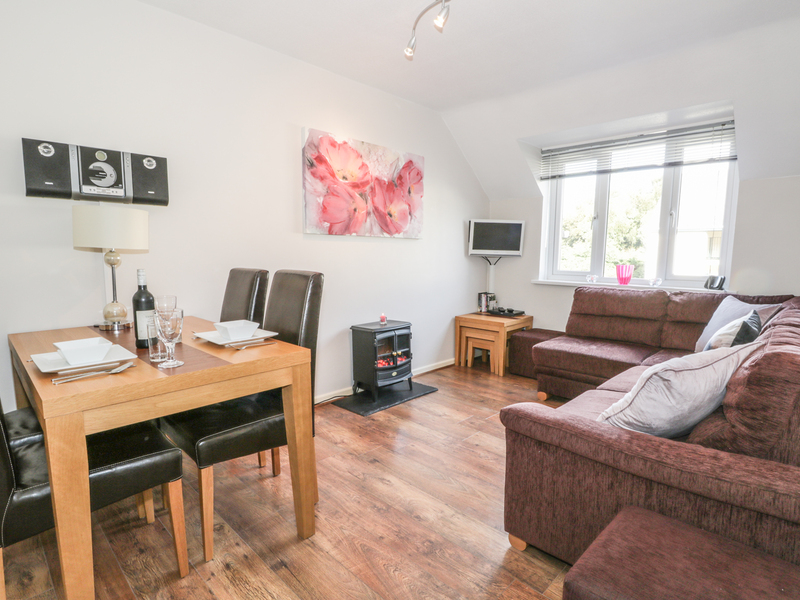 The apartment comes with private garage and parking space for one car.Tree Tops Apartment is ideal for a couple looking for a break in the Lake District at any time of the year, offering easy access to the surrounding area. The apartment is on the third floor of the building and contains: 1 x double bedroom, open plan lounge and diner with electric fire. 1 x shower room and separate WC. Underfloor electric heating and a seperate electric fire. Electric oven and hob, microwave, dishwasher and fridge. TV, DVD player, radio/CD player, Wi-Fi and double sofa bed in the lounge. All electric, bed linen and towels included in rent. Cot and highchair available. Private garage and parking space for one car. Short walk to the village centre and Lakeside. Note: this is a third floor apartment with stair access only.